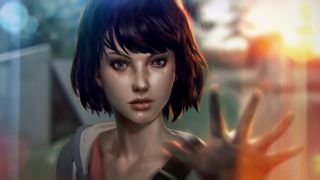 Square Enix has revealed the system requirements for Life Is Strange, the metaphysical mystery game from Remember Me developer Dontnod, and the good news is that if you're reading this from a PC, then you'll probably be able to play it. The studio also released the first of three planned developer diaries, in which team members talk about the game's origins and the story they want to tell. One of the more interesting points in the video comes fairly late into it, when Dontnod co-founder Jean-Maxime Moris explains explain the team's reasons for signing a publishing deal with Square Enix: "Square is basically the only publisher that didn't want to change a single thing about the game," he says. "We had other publishers telling us, 'Make it a male lead character,' and Square didn't even question that once." Honestly, if you can't meet that minimum, it's time to stop buying games and start putting your money into an upgrade. Or, I dunno, a cup and ball set. The first of five episodes of Life Is Strange comes out on January 30.